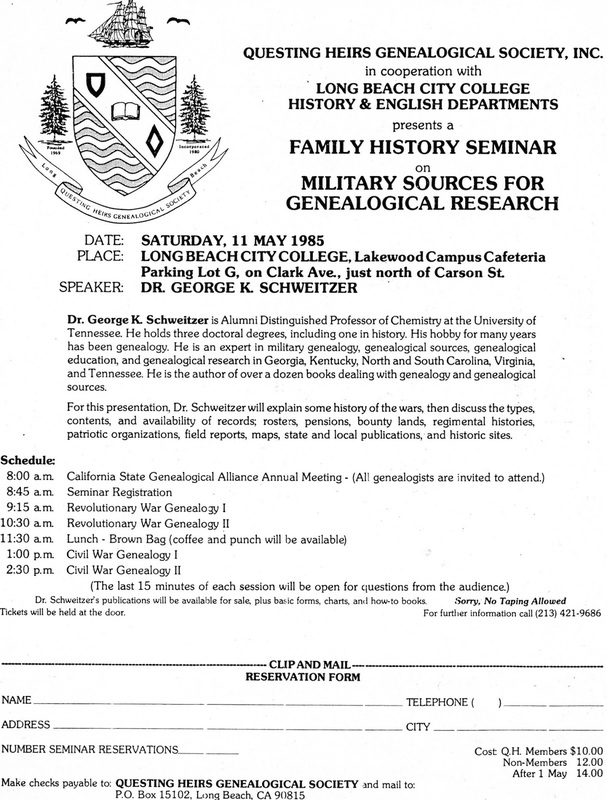 Thirty years ago on May 11, 1985, the Questing Heirs Genealogical Society of Long Beach presented a seminar which featured well-known chemist and genealogist Dr. George K. Schweitzer. 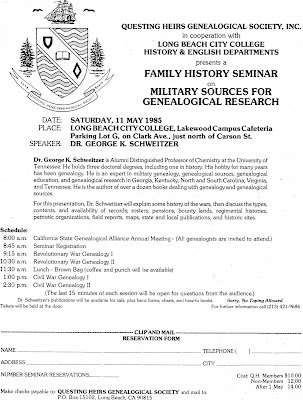 The session opened with a meeting of the California State Genealogical Alliance which was followed by Dr. Schweitzer’s presentations about military history and sources. Photographs in our scrapbook from this seminar show what an entertaining speaker Dr. Schweitzer was—he dressed the part, donning military garb from each era he discussed! We have photos of him wearing a Revolutionary War soldier’s uniform and two photos of him as Civil War soldiers—one from the North and one from the South. All attendees had a great time and learned a lot.